Well it seems the entire city is filling up with people as the summer break comes to an end. Some people (parents) are a little bit excited as their kids will be returning to school very shortly (the struggle is real). For others, perhaps the excess' over the summer are showing and now's the time to do something about that! A few years ago I had the pleasure (and pain) of meeting Yoka who turned out to be probably the most knowledgeable person I've ever met when it comes to his craft. First impressions are always important and I still remember the first time I met him in the gym and I thought this guy was going to break my legs and use my bones as a toothpick! But as I got to know him, and learned a lot from him, I realised what makes him tick. Sure, hes a body builder and he loves pumping iron and eating steamed chicken. But if you ask me what Yoka's primary drive is, it is quite simply: Seeing progress. Yoka will work with anyone, from any walk of life, with any build. Because if he see's improvement, and effort, that is what makes him happy - seeing people improve themselves. I can honestly say from personal experience that Yoka's knowledge and experience with training is second to none. If you are looking to "join a gym" then I'd honestly recommend any gym that Yoka is affiliated with, and that leads me onto the reason for this blog post. Yoka has setup a new gym here in Muscat, its called Sisu Fitness Studio and it is located Azaiba near to the Zubair dealerships. Sisu operates as a private members studio, and access is available 24/7 with a members access card - so if you like to do your work-outs late night or early morning, no problems there. If you are interested, inquiries can be made by email. Below is a blurb I received from Sisu with a bit more information about it. Sisu is a Finnish concept and cultural construct and is held by Finns themselves to express their national character. Sisu is a grim, gritty, white-knuckle form of courage that is typically presented in situations where success is against the odds, in other words, deciding on a course of action and then sticking to that decision even despite repeated failures. Sisu Fitness Studio (SFS) is the place where Sisu mindset and over 30 years of experience and knowledge meets. The main base of the concept is built from high intensity workouts, proper training techniques, efficiency and personalized nutrition consulting. Nothing beats experience and SFS has it from all levels and types of trainees, from beginners to world top physique competitors. To confirm trainee’s recovery and muscle maintenance, SFS cooperates with other recognized companies in health and fitness industry as supplement stores and physical clinics. Behind SFS concept is Finnish IFBB Pro Coach and PROPTA Nutritionist Coach Yoka, a badass who’s known for body transformations and straight talk. His background is in many sports but mostly in fitness and bodybuilding, which he competed in for 13 years being one of the top competitors in Scandinavia. Coach Yoka is also International IFBB Judge and PROPTA Examiner and director. He’s been developing fitness sports as a board member of Finnish Bodybuilding and Fitness federation. Coach Yoka has a long experience not only in training but in fitness industry in general. He’s been running a fight club and a supplement store, and SFS is the third gym concept he has created. Some of the most popular fitness forums and pages in Finland were created and edited by him. He is the founder and former Head Coach of Elite Gym which he ran for 2 years before putting up Sisu studio. Idea of SFS was in his back head for a while and it was the thing he always dreamed of: focus only to change people physiques and lives to better, stronger and healthier. Anyone being under his training knows him from extremely passionate and tough but rewarding training style. 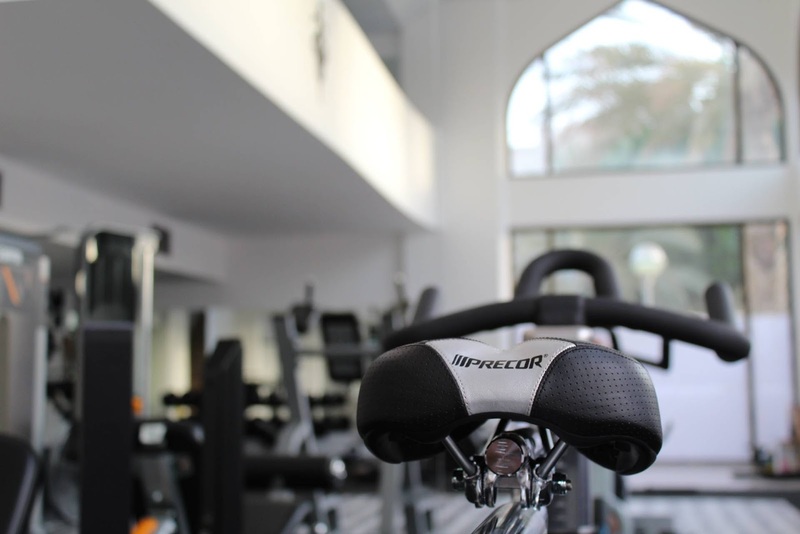 The concept of the studio is very straightforward; create a comfortable, inviting atmosphere where the client will enjoy a very personal training experience. Training is conducted in a private setting and includes a combination of weight and functional training along with cardio exercises. SISU fitness studio is not a commercial gym, which makes it totally free from “commercial gym distractions”. These elements build a high trust to this exclusive training concept that is extremely demanded among high-end customers. If you want to know more you can checkout their website here, facebook here and Instagram here.